From smartphones to smart TVs, everyday devices are becoming more and more sophisticated and autonomous. The devices being integrated into our homes allow the house to respond automatically to the environment, preset schedules and even spoken commands. Today, systems like Amazon Echo and Google Home provide a central base for automating almost any conceivable aspect of a home, all controllable by phone, computer or voice. Most home automation projects begin with heating and lighting, which offer clear benefits in energy savings and convenience. Rather than relying purely on preset timings to control your heating or air conditioning, intelligent automation allows more flexibility. For example, you can keep your heating on a minimum setting during the day to reduce energy bills, but turn up the heat from your smartphone as you head home from work. Take the concept further and you have intelligent window treatments. Shades or drapes can be set to automatically lower, creating shade from direct sun and reducing the need for air conditioning. This can be managed either on a schedule or by intelligent response to light levels. Alternatively, window shades can be set to operate automatically at sundown, providing increased privacy even when the blinds are in difficult-to-reach locations. Combining automated motorized shades with smart lighting can improve home security by giving the impression the property is occupied. This can be done either to a set schedule, or in response to external factors such as movement outside the home, changes in day length or changes in ambient lighting. Add automatic locking of code-operated doors and windows, controllable cameras, intelligent smoke alarms and reactive alarm systems, and the security of a home can be controlled and monitored remotely with ease. In the kitchen, automation offers a combination of energy savings and convenience. You can start up your slow cooker while at work to have a hot meal ready the moment you return. Appliances from dishwashers to freezers can coordinate their operation to minimize their combined energy consumption, making the best use of home-generated energy from solar or other sources. The long-predicted smart fridge, which keeps track of its own contents and simplifies grocery shopping, is now also a reality. As useful as current automation technology is, it's set to go much further in the near future. Already, controllers such as Echo and Home can automate devices from many different manufacturers, but there are still several competing protocols making cross functionality difficult. 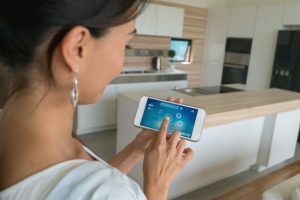 As the technology matures, communication methods are becoming more standardized, and the "internet of things" means that everything from your TV to your refrigerator will be connected into a single, adaptable, intelligent system. Steve Palmer, president of Creative Blinds, provides high-quality custom window treatments in Houston, Texas. As an expert and early adopter of technology like motorized shades, Palmer has a passion for the future of the industry and the technology that is driving it. Home Automation is not new, but this recent boom in technology has given it a thrust to whole new level. I’ve automated my home with Picostone(https://bit.ly/2JIhOyJ) to control all my lights,fan, geyser. It is pretty cool. A pretty neat summation. It’s true that we’re undertaking an exciting journey; morphing into a world that wholly embraces intelligent technology along the way. And this is just the beginning. Cheers for the read!